Às vezes a gente fica sem saber o que dizer diante da pessoa amada... Principalmente quando o resto do texto sumiu! Essa ilustra com Romeu e Julieta foi feita para livro da Editora Ática. Sometimes even the best lover can stay speechless before his loved one... Where is the rest of the text? 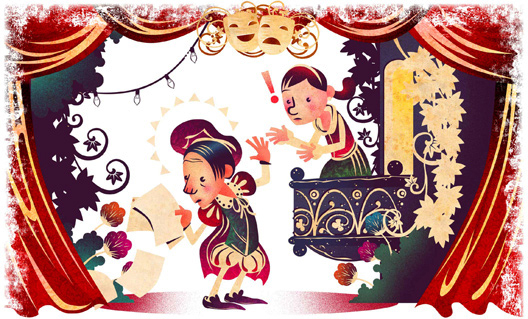 This little Romeo and Juliet illo was done for Ática Publishing House.